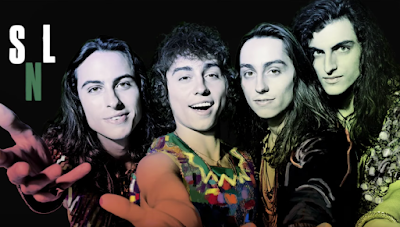 Greta Van Fleet’s debut album, “Anthem of The Peaceful Army”, has climbed the US charts following a January 19 performance on NBC-TV”s Saturday Night Live. According to Billboard, the project soared from 150-76 on the Billboard 200 after a sales increase of 45 percent to 10,000 units. In addition, the Michigan outfit’s 2017 EP, “From The Fires”, has re-entered the US album chart at No. 121 after selling another 8,000 copies to deliver an 87 percent increase. The appearance also provided a serious increase sales of the group’s digital download catalog, which surged by 209 percent to 11,000 downloads sold. The title track from the band's 2017 debut EP, “Black Smoke Rising” (which also appeared on a second EP, "From The Fires"), will compete for “Best Rock Song” at the 61st annual Grammy Awards in Los Angeles on February 10; it’s one of four nominations for the group, who are also among the finalists for Best New Artist, Best Rock Album (“From The Fires”) and Best Rock Performance (“Highway Tune”). Greta Van Fleet are currently playing their first-ever shows in Australia and New Zealand.